I interrupt our normal schedule for a special current event article! 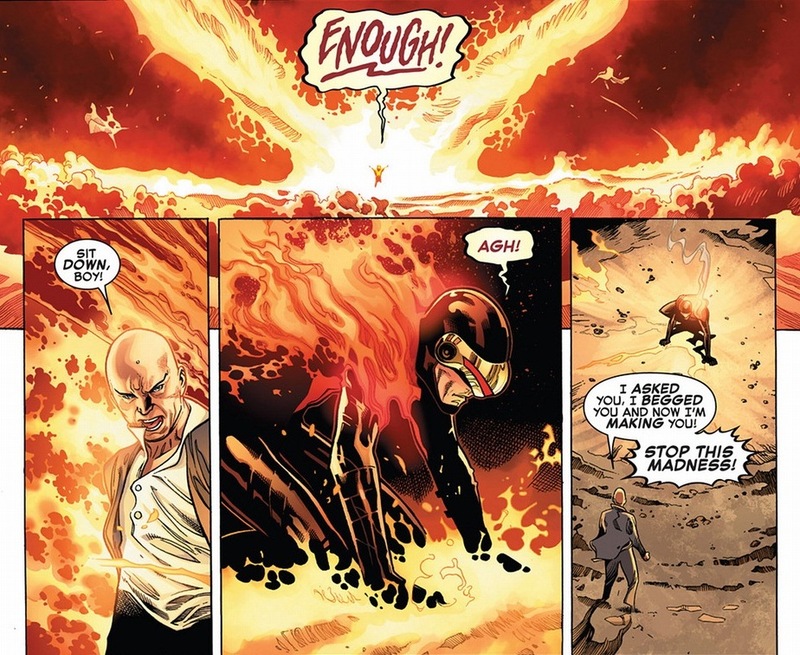 So Professor X died today in Avengers vs. X-Men #11, written by Brian Michael Bendis and Olivier Coipel. Killed by Cyclops, currently possessed by the Phoenix power. Remember? That fiery thing that can destroy entire worlds with mere thoughts? I just want you to know that Professor X didn’t go out like a punk. His actual death scene is plastered all over the Internet, but don’t forget that beforehand the professor gave his star pupil a righteous spanking. 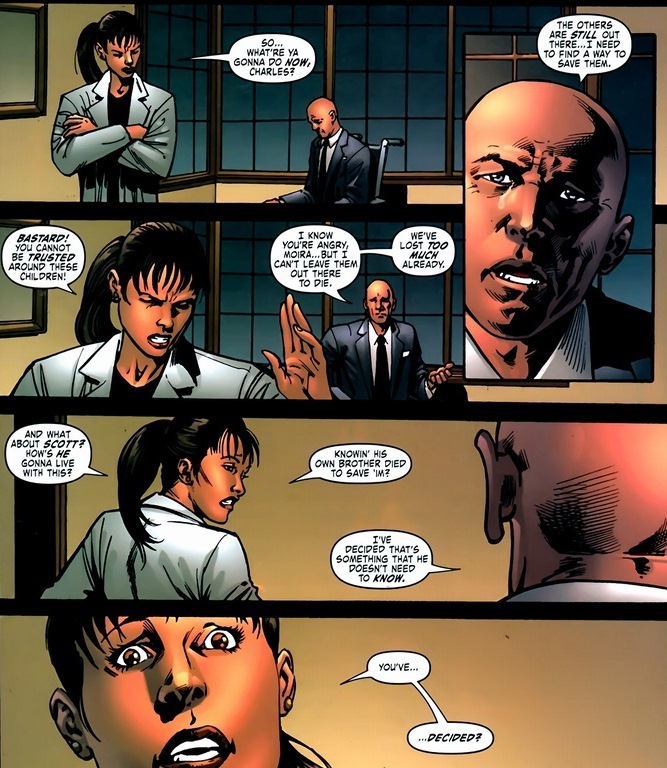 While this certainly will make for a few months of gloomy, nostalgic X-Men comics, Professor X is kind of a jerk. 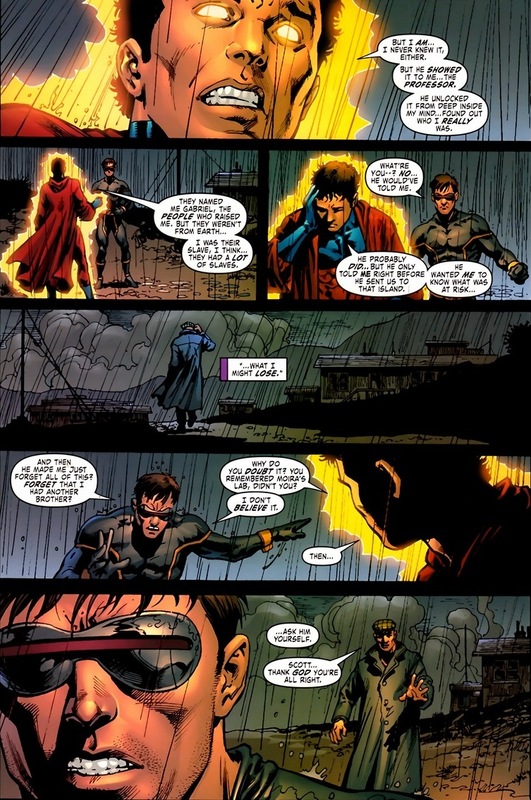 You see, when you’re a mutant with omega-level telepathy skills (no matter how good the intentions), there will come a time when you abuse them. Because you always know everyone’s waking thoughts, movements, motivations, and pasts. 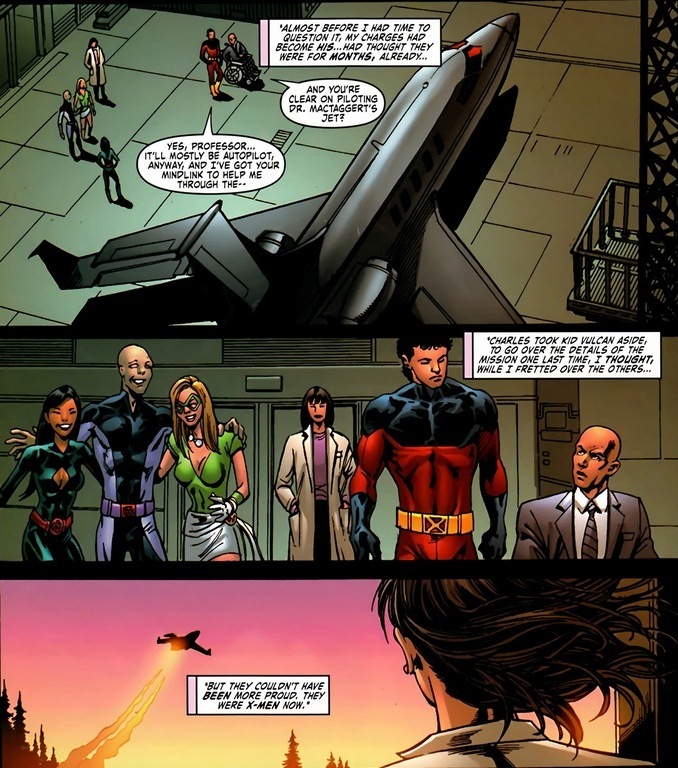 All I’m saying is that just because you can totally blame Cyclops for Professor X’s death (the Marvel universe certainly will), the good professor ain’t exactly innocent himself. 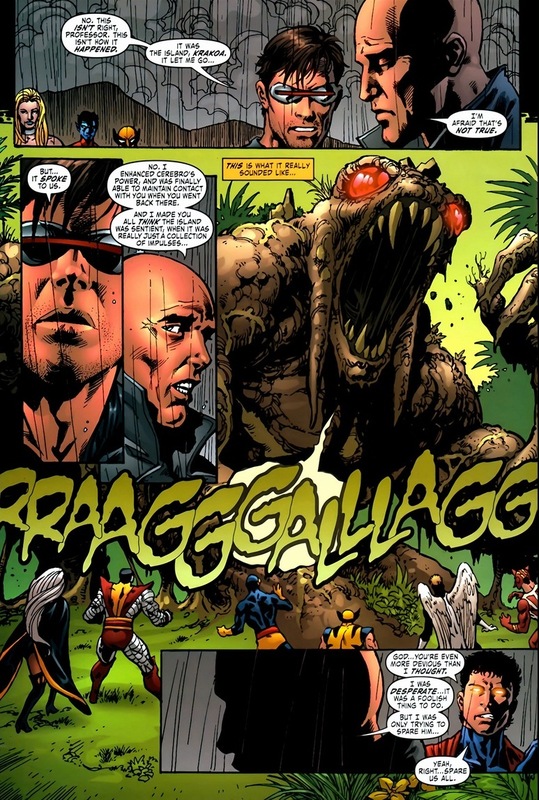 Let’s go back to 2006 and take a look at some select scenes from X-Men: Deadly Genesis #4-6, written by Ed Brubaker and drawn by Trevor Hairsine and Scott Hanna. You might need some back story. Scarlet Witch, the reality-controlling mutant, destroyed and then recreated the world. Everyday X-Men stuff. But when the world went back to normal, Professor X (real name Charles Xavier) found he could suddenly walk. Only one problem: he no longer had any mutant powers. Delighted by the flashback above, right? Cyclops finds a lost sibling! Except once you scrape off the initial layer of puppies and rainbows, the truth cake gets moldy and filled with shards of glass. After saving Cyclops, the entire rescue team was then murdered by a lava monster. Ouch indeed. That and Cyclops just saw his brother incinerated. Professor X took a drastic step. MacTaggert’s children lured by dreams of fighting in the big leagues, Xavier gave them a quick training session and then promptly sent them to their death. 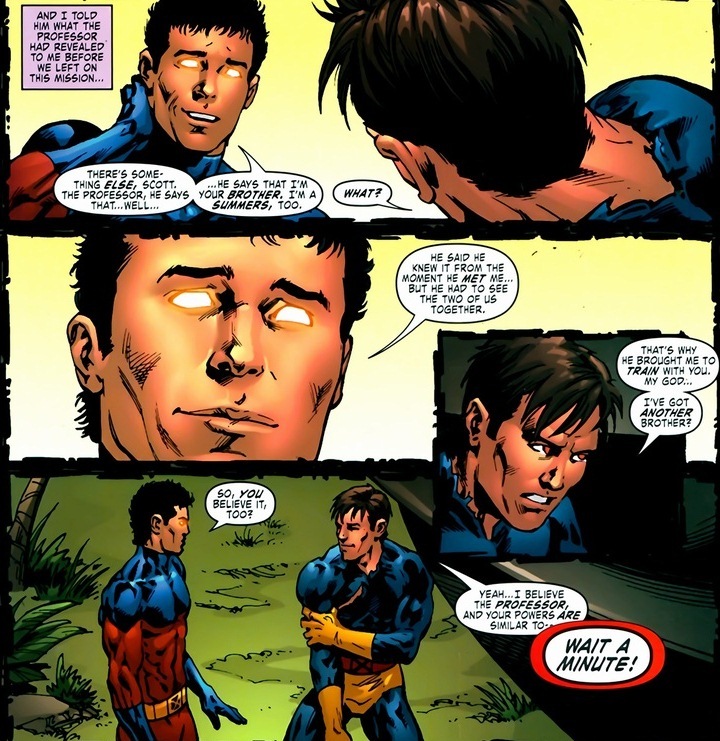 So his decision of what to do with Cyclops’ memory ain’t exactly selfless. 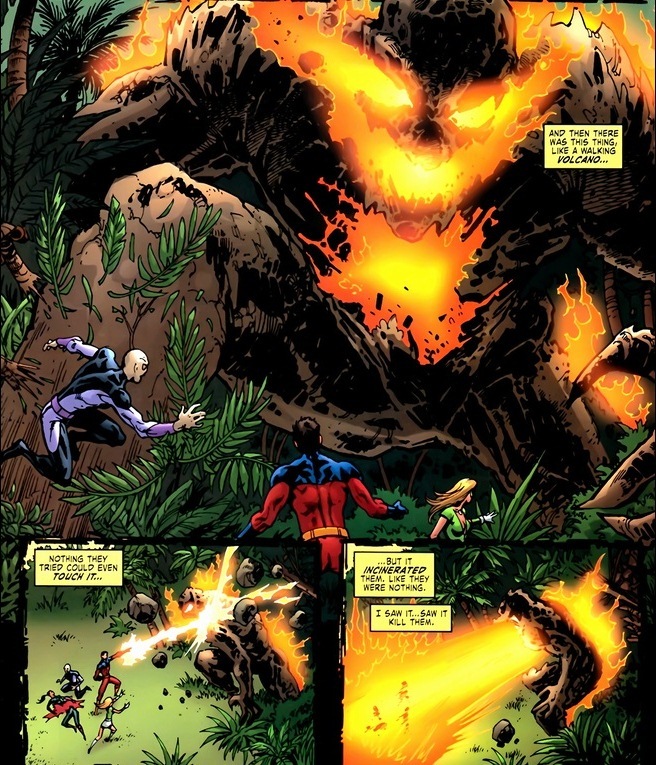 Just in case I haven’t made it perfectly clear, Professor X had no intention of having his rescue team get slaughtered by a lava monster. 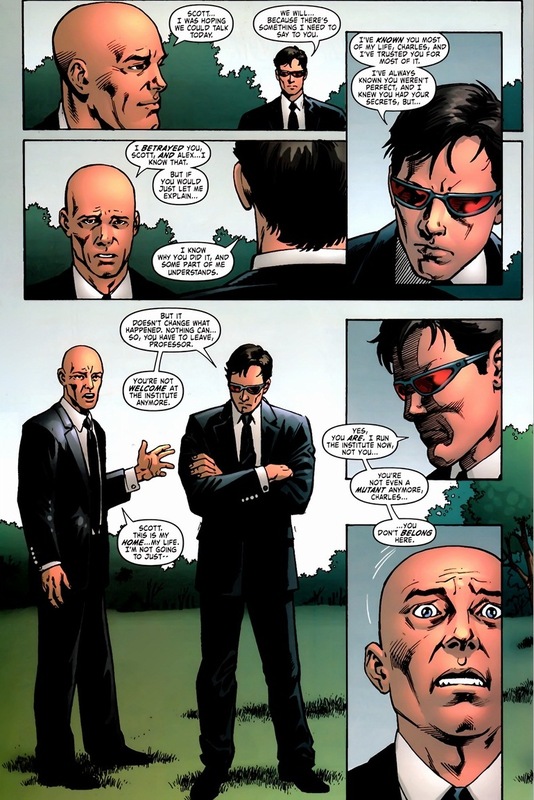 But overwhelmed by guilt, Xavier erased Cyclops’ memory of the events and basically hoped everyone would forget all this happened. And they did, except that Vulcan survived and now the truth has been revealed. 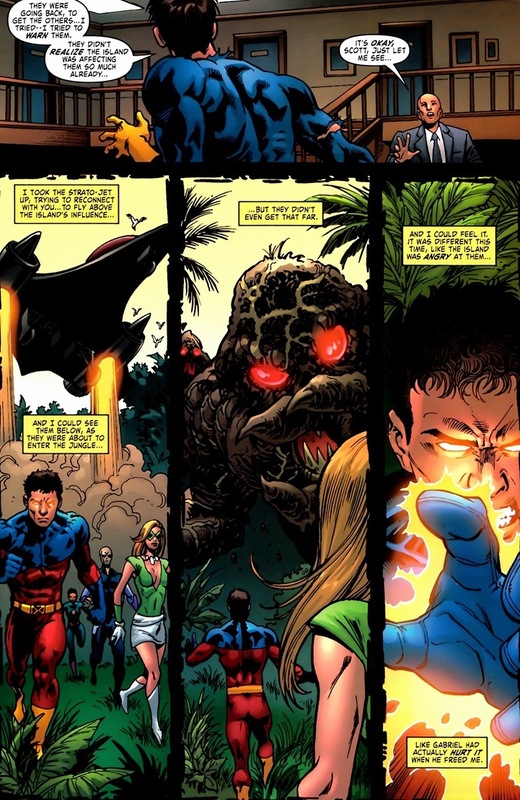 If you want to read more about Vulcan, who’s a pretty cool villain, he spends his days attempting to beat up all the cosmic Marvel heroes, the fancy name given to the superheroes who go on space adventures (like Nova, Rocket Raccoon, Silver Surfer, Black Bolt, a talking tree, and others). 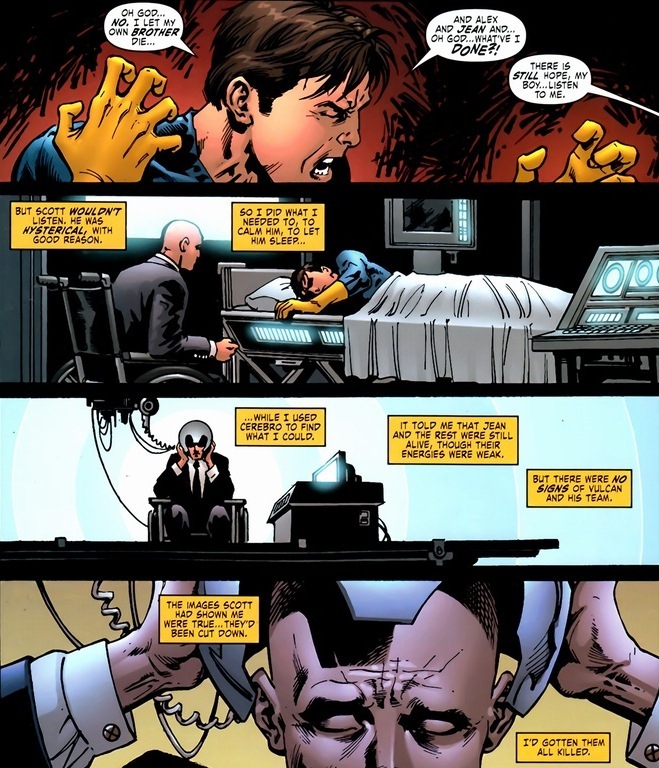 With the revelation of Professor X subtly manipulating the memories and minds of his students throughout the years, he received his appropriate punishment. 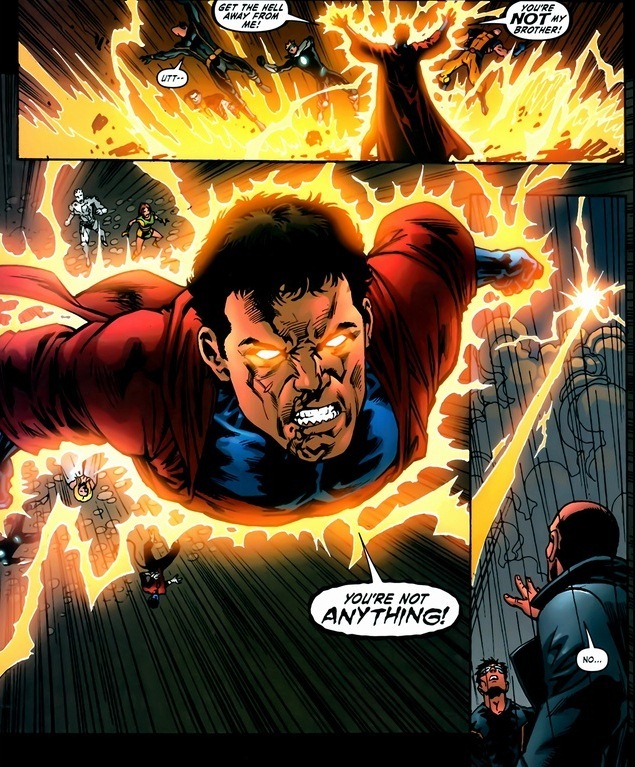 Eventually he gets his powers back and joins the fight against the Phoenix Force. Despite his faults, at least Professor X dies the way he deserves. Like a superhero.